Our little boy is extremely fond of McDonald’s Chicken McNuggets. Whenever we visit McDonald’s, he never fails to order this. 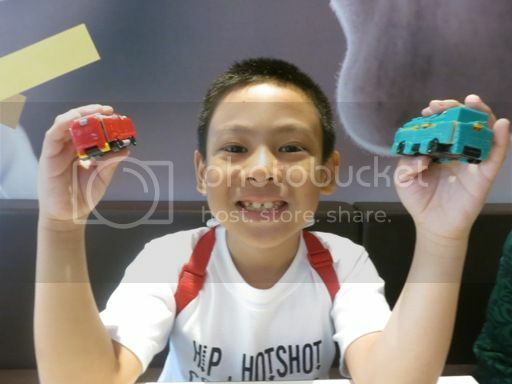 This is what he had for his afternoon snack when we went to McDonald’s Greenhills a few days ago. When I asked him what he likes about Chicken McNuggets, he said: “They’re crunchy, and they’re yummy!” He also enjoys dipping his Chicken McNuggets in the sweet and tasty Classic McNuggets Sauce. He can finish two orders of these Chicken McNuggets in a jiffy! We always order the Happy Meal Chicken McNuggets because of the free toy. My son loves Happy Meal toys, too. Look! What are your kids’ favorite treats from McDonald’s? This entry was posted in Chicken McNuggets, Happy Meal Toys, McDonald's. Bookmark the permalink. Even my teens love Mcnuggets and I agree it’s crunchy. I remember when they were kids, we would always order happy meals. I can see Justine’s happy face with his new toys! 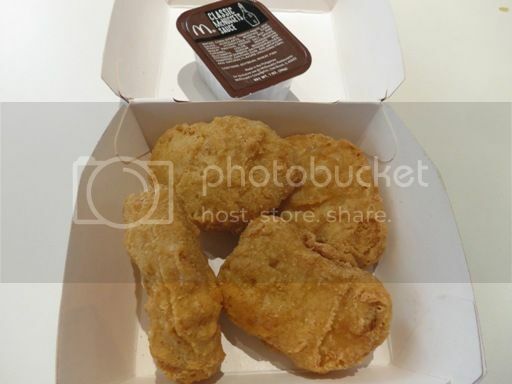 ah my daughter doesn’t like nuggets her fave at mcdo is the sundae and fries! Chicken McNuggets is also my favorite and ykaie’s too! Have you tried the new McSpicy? same here, that’s my youngest son’s fave, too!